Front Wheel travel 130mm / 5.1 in. 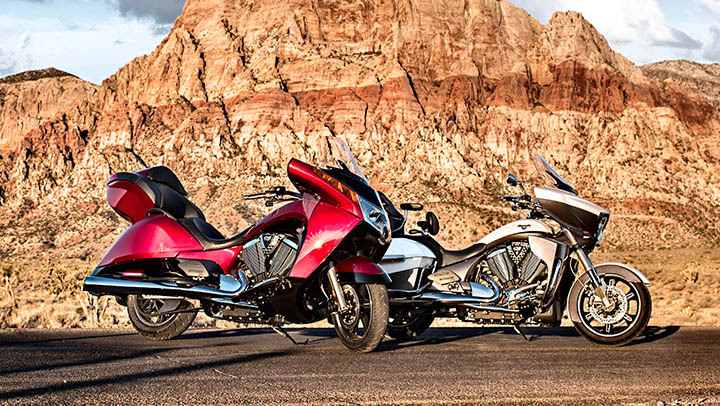 The 2015 Victory Vision Tour brings a breath of fresh air in the world of touring motorcycles. It offers a perfect mix of comfort, practicality and agility thanks to its ergonomic construction, potent engine and smart chassis. 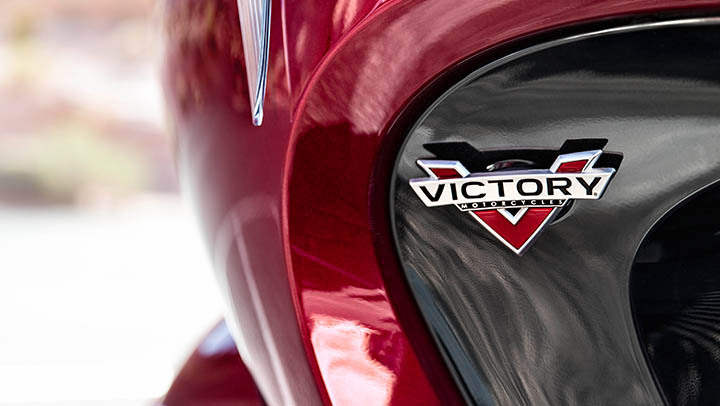 At the heart of the motorcycle sits a 106 cubic-inch freedom V-Twin, counter-balanced and fuel-injected engine which delivers a maximum torque of 108 ft-lb. The engine’s power is kept under control by a modern 6-speed transmission with overdrive. 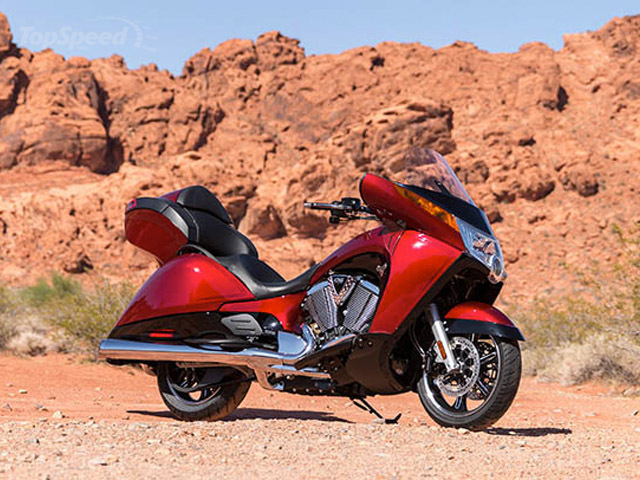 The 2015 Victory Vision Tour is also offered with heated handgrips and heated seats and features 29 Gallons of trunk & saddlebag space. Other notable features include ABS, cruise control, a power windshield and full-coverage frame mounted fairing, as well as an ultra-smooth rear suspension travel.